Until recently I had set my Chromebook to regularly update with an interesting daily desktop image. The option to do this is in the settings under Appearance > Wallpaper > 'surprise me'. These kangaroos are brought to you by Bing. 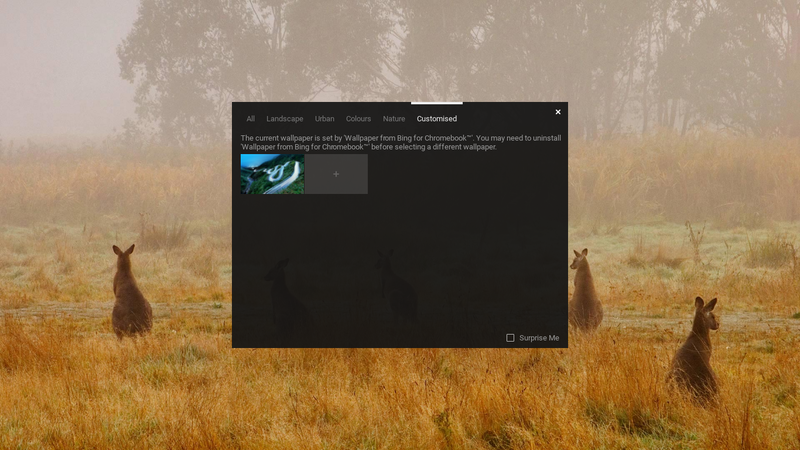 It occurred to me that the Bing image of the day was often far more beautiful than what is offered under Chrome OS and there must be a way to change the desktop automatically to the Bing image of the day. A quick search in Bing led me to the Chrome Web Store, and there it is, the Wallpaper from Bing for Chromebook app. It only works on Chromebooks, but there are other workarounds for different platforms which I may go into in detail in another post sometime. Well, I quietly changed from Google to Bing a few years ago. There are a number of good reasons for this. Back in the day, well the nineties, when music was good, and we did actually believe that things could only get better (that's a Dr. Brian Cox joke) I used Netscape Navigator and searching the web was a rather hit and miss affair. A typical web search would throw up thousands of results and you would spend half an hour scrolling through irrelevant results. I think I was in the middle of a troublesome and tiring search through Ask Jeeves or Yahoo or something similar when a friend asked me why I wasn't using Google. 'What's Google?' I asked. This was around the end of 1998 and the first iteration of Google's search engine had just appeared. I wasn't disappointed, as you can imagine, and in the intervening years, the word 'Google' has become synonymous with searching itself. Not only is your preferred target on the first page of results, but it also predicts your search term and completes it for you. A couple of years ago Microsoft launched their 'Bing Challenge'. Switch to Bing and see if you notice the difference. Being the naive sort of fellow that I am, I gave it a chance and noticed only that Bing seemed to give slightly better results and came with a beautiful image of the day. ...You get paid to use Bing. With Microsoft rewards, you can earn points each time you search. 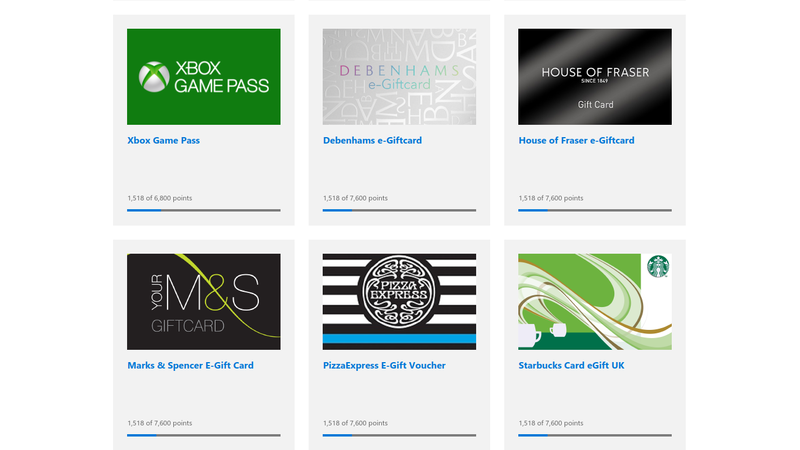 Points add up and can be spent on sweepstake entries or saved up for gift cards for some of your favourite department stores. The more you search, the more points you earn (up to some daily limit). You can even donate your points to charity. Some of the offers available for using Bing. Well, that's all from me for today. If this post hasn't made you rage-quit the Internet, then you might like to stick around and read about some other Chromebook posts, or maybe you like calendars instead?